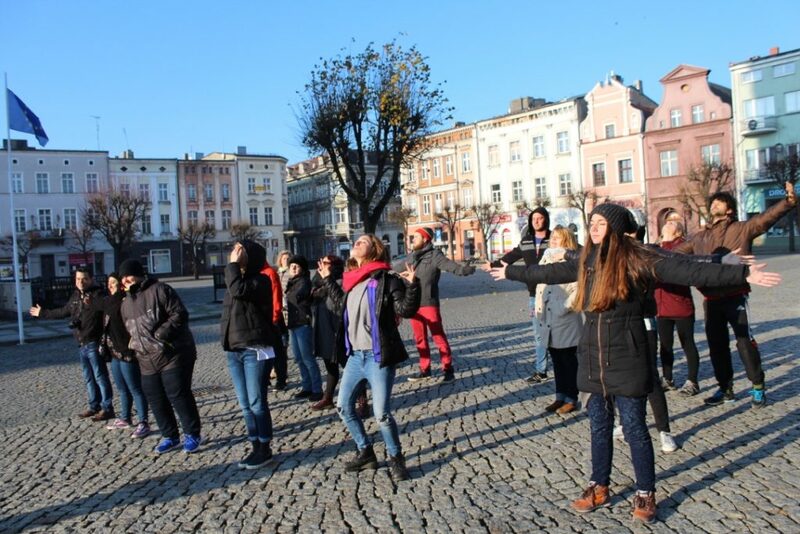 Together with 29 other participants from UK, Poland, Greece, Italy, Romania, Hungary, France & Croatia, our participants from Belgium Sino and Ingrid travelled to Poland to learn all about animation methologies, tools and good practises. 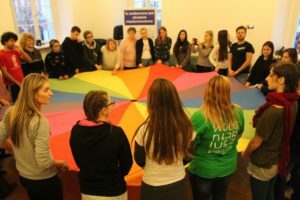 Some memories of Ingrid about the training course “All the participants came to Poland with very different backgrounds, experiences and idea’s, ready to share skills and to learn from each other. From November 27th till December 5th we all joined in Leszno, a small town in Poland eager to start with the training. During the training many different ways of animation work were discussed and practised. Every morning started with participant space. A moment were we got the chance to share any kind of tools, energizers, idea”s, successful projects or anything else we wanted to share between each other. A great moment to learn about things that were not always directly related to the topic of the training. After the participants time it was time for the training. itself. Everyday was filled with many interesting activities. The first days were reserved for getting to know each other and getting to know the beautiful village we stayed in. When we all know each other a little better, the sessions about the topic of the training started. Since animation work is a very wide concept, the days in the training were full of variation. One day we learned all about a flashmob; about different kinds of flashmobs, the goals of a flashmop and how to prepare a flashmob. In the afternoon we even did a small flashmop at a local fair. Another day was about making hugesoap bubbles, were we all learned how to make the tools we needed and we got the chance to experience how it is to make the soap bubbles ourselves. 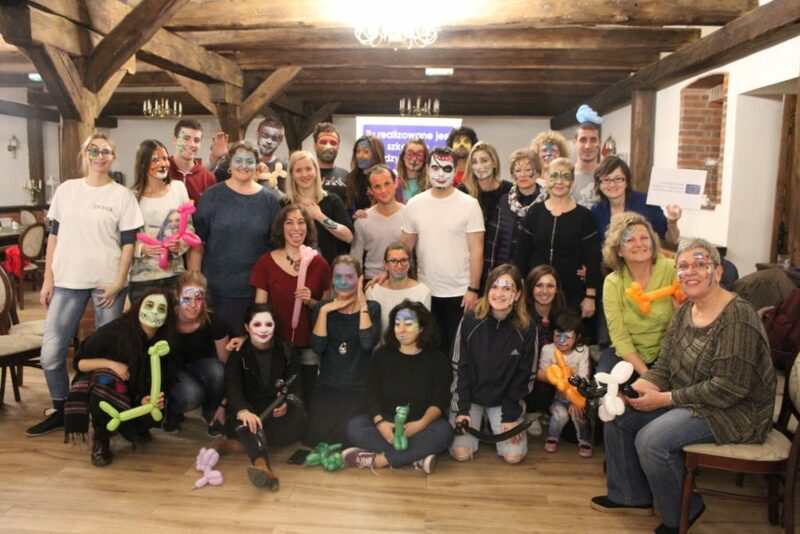 All the days were fulled with surprising activities like facepainting, learning animation dances, making balloon animals, juggling, upcycling materials and many more practical methods easy to put in practise working with children or youth. On the last days there was a chance to put our new gained skills into practise. First we went to meet primary school children in an afterschool program to do some fun activities with them. After that we went to a school for children with disabilities where we spit into small group to do animation work in their classrooms. A great chance to learn how to improvise to the children while doing animation work. After the busy but fun days, there were the evening where we had time to share our cultures. Every country got the change to present their traditional food, games, music, drinks, etc..